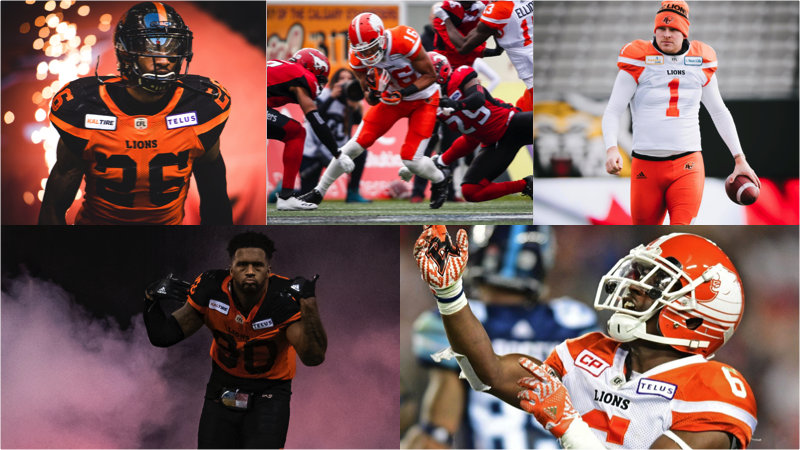 Five members of your BC Lions have been named to the CFL All-Star team, as announced by the league on Tuesday morning. Receiver Bryan Burnham, defensive lineman Davon Coleman, defensive backs Anthony Orange and TJ Lee III and kicker Ty Long have each been recognized for their solid contributions in 2018. 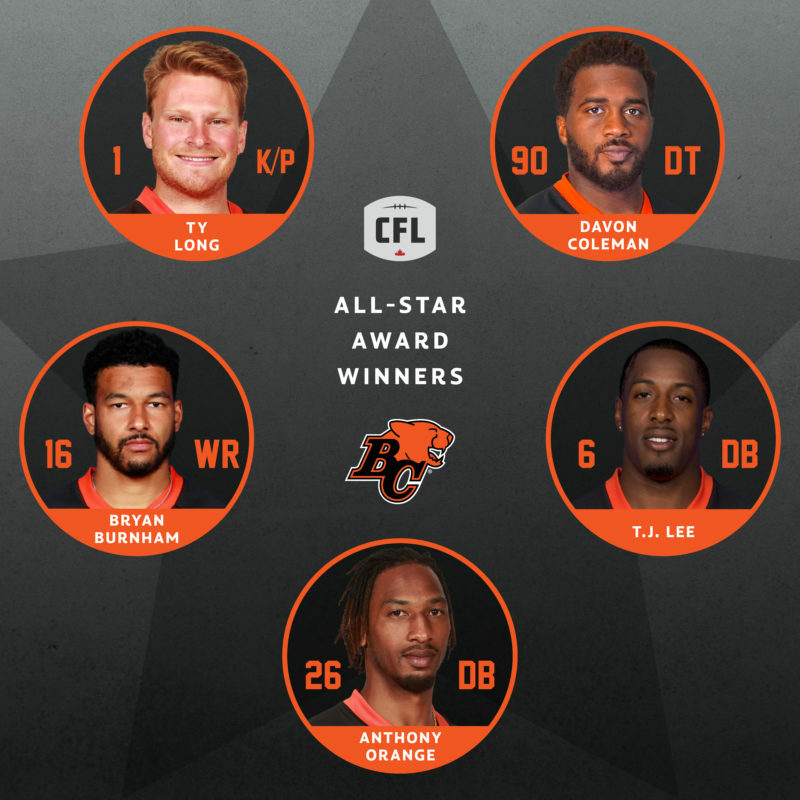 Burnham and Long have each been selected for the second time in their respective careers, while Coleman, Orange and Lee III were all first-time selections. Burnham is coming off another productive season on offence where he racked up 67 receptions for a team-leading 1,029 yards, nine touchdowns and averaged 15.4 yards per catch. Burnham joined teammate Emmanuel Arceneaux, Hall of Famer Geroy Simon, Darren Flutie and Mervyn Fernandez as the only Lions receivers to record over 1,000 yards in three straight seasons. Coleman made an immediate impact to a revamped defensive line following a training camp trade with Hamilton. He recorded 57 defensive tackles and a career-best eight sacks. 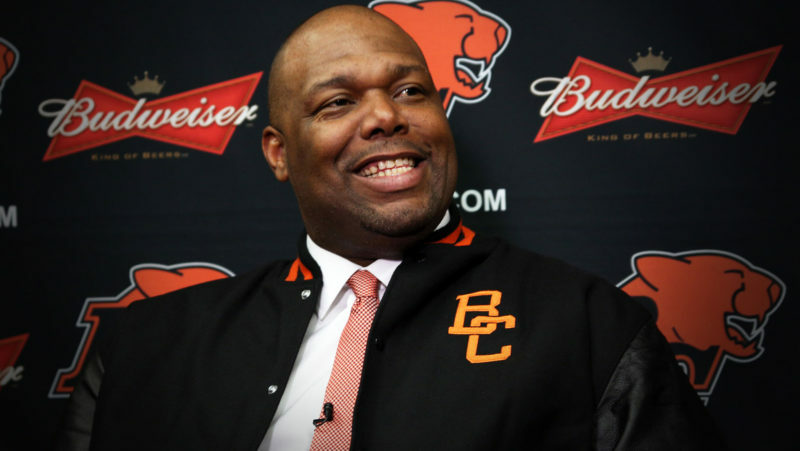 Coleman’s finest performance came in a victory over Toronto on October 6th where he had two interceptions; not a regular accomplishment for any defensive lineman. Veteran Lee III proved you can indeed get better with age. 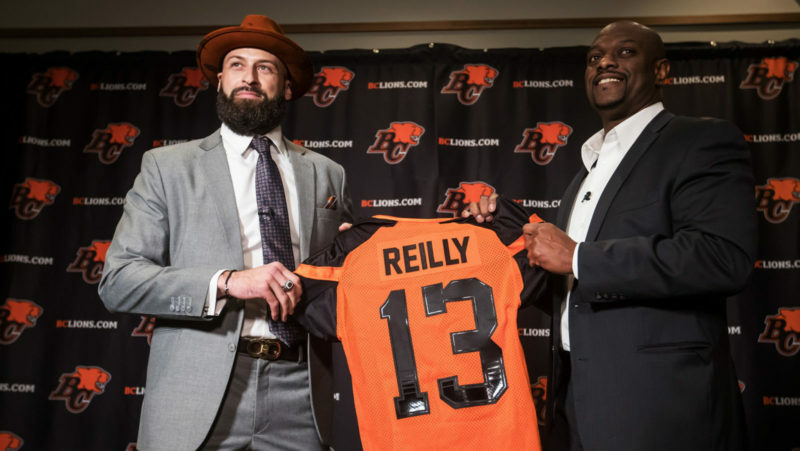 Along with recording a career-high 81 defensive stops, he added three interceptions- including one taken to the house in a big win at Montreal on September 14th- and a pair of forced fumbles. Key free agent piece Orange proved to be a valuable addition in a new-look secondary, finishing in a tie with teammate Winston Rose and three others with for the league lead in interceptions (5). In that same defensive dominance in Montreal, Orange recorded two of his interceptions, one that was returned for a touchdown. For the second consecutive year, Long led the CFL in both punting yards (5,853 yards), punting average (48.8 yards), net punting average (38.5) and was 43 of 49 on field goal attempts. 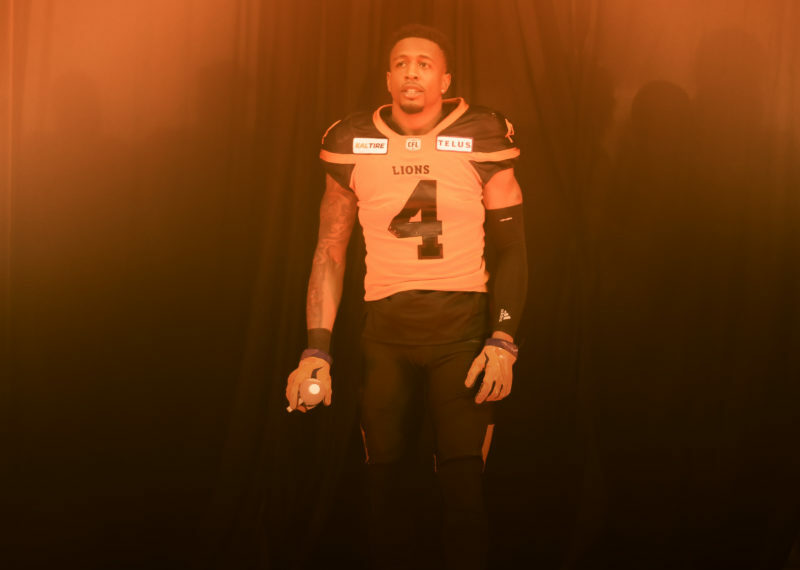 Long’s accolades earned him the West Division nominee for CFL Most Outstanding Special Teams Player and the Lions’ team nominee for Most Outstanding Player.